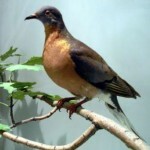 Our next song from the Extinct Animal Songs project is about the Passenger Pigeon. We have uploaded 3 versions of the song, sung by 3 fantastic soloists (that means they sing on their own!). The solos are sung by 8 year old Maya and Rosa, and 6 year old Erin. We have also added a backing track for you to sing a solo of your own! Use the lyrics to sing along and make your own version of The Passenger Pigeon song – enjoy! 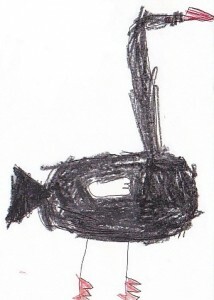 It was everyone’s favourite bird in the sky. But then it left, never said goodbye. 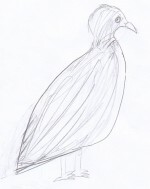 Passenger Pigeon, Passenger Pigeon, Passenger Pigeon fly! Singing Solo – means singing on your own. Try practising singing the song for a bit and when you think you know it well enough you can perform it for your family and friends! 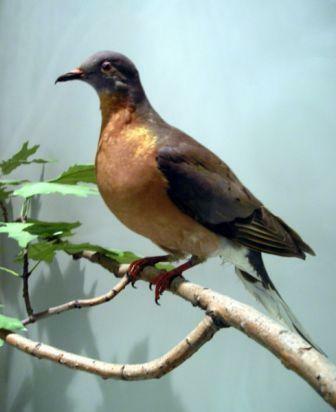 The Passenger Pigeon used to be a very common bird and there used to be lots and lots of them, some people estimate there were between 3-5 BILLION of them! That is a lot! Even though there were so many of them they became extinct at the beginning of the 20th century. 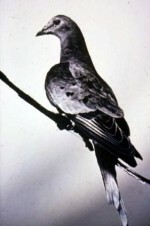 The last known living Passenger Pigeon was called Martha, and she died on the 1st of September 1914. This page is dedicated to Martha. See you next week with a brand new Extinct Animal Song! We are happily continuing our releases of the Extinct Animal Songs with The Dodo song! This song tells us lots of facts and details about the dodo and why it became extinct. Read the lyrics below and find out how many details you can learn about the dodo! 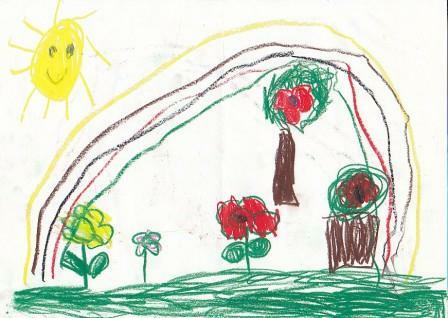 * All drawings made by the Daphodil Music singers! The sky is somewhere he won’t go. But he can do some other things. “You won’t find me, no,no, I’m no longer around”. 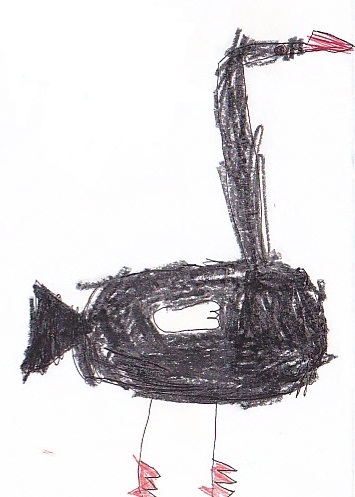 This is the bird of whom we speak. And is a friend to you and me. As the song tells us, the dodo became extinct because it was such a friendly bird and was not at all scared of humans which made it very easy for hunters to catch them. The dodos were also flightless birds, which means they couldn’t fly so it wasn’t easy for them to get away from the hunters even if they wanted to! 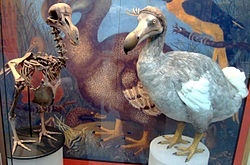 You can see what the dodo looked like at the Natural History Museum. 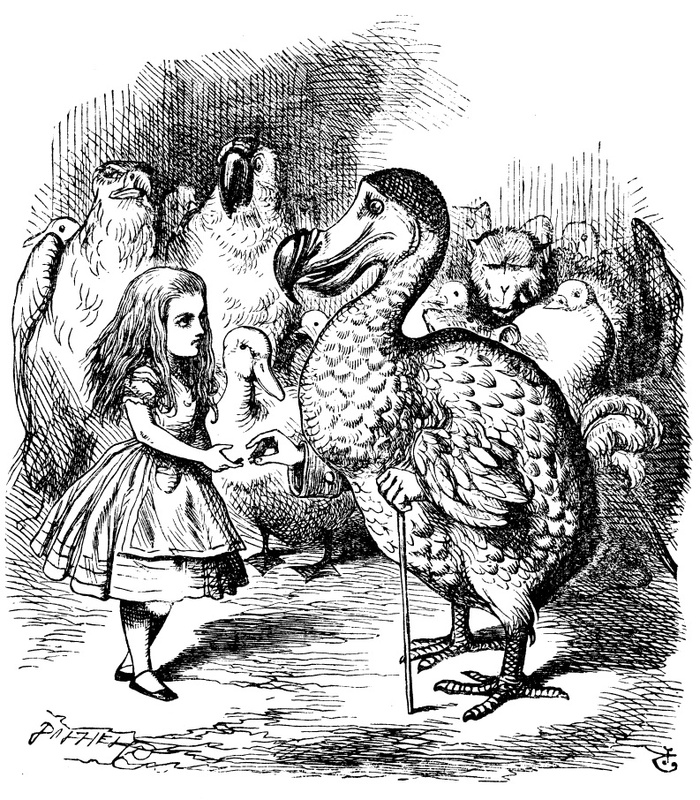 The dodo bird also appears as one of the characters in Alice In Wonderland. Come back next week to hear the third song of the Exinct Animal Songs project. See you soon! I am very happy to release the first song of the Extinct Animal Songs project. It is called Don’t Forget Them and it explains what this music project is all about. It was recorded only a few weeks ago by some very talented young singers. The middle part that is spoken was inspired and written by some of the singers and is based on a real chat they had while we were learning the songs. 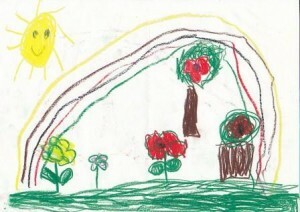 Scroll down to find the words to the song, sing along and add a commnet. Don’t forget to check out the dance that goes with the song, made up by some of the same children who recorded the singing! Come back every week to hear the latest song release and listen to your old favourites too! Enjoy and spread the word – it’s all about the Extinct Animal Songs!!! Keep them in your heart and mind. You will keep them alive! Listen to all the songs we have uploaded so far, we hope you enjoy!